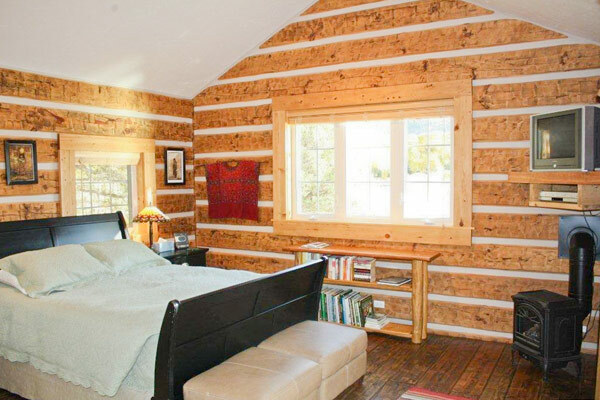 Our home and rental cabins are Norwegian style dovetail log homes with chinking in between the logs. We designed and built almost everything here ourselves including cutting all the dovetail corners on site and setting every log ourselves. 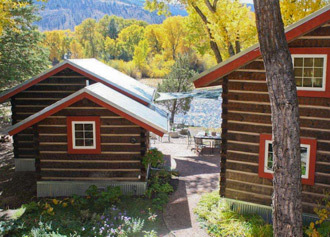 We have 3 nicely decorated individual cabins all with queen beds, there is also a sofa sleeper with 4" memory foam mattress located in the Studio cabin. Eight people can sleep comfortably in beds, with three additional twin inflatable air beds, one in each cabin. 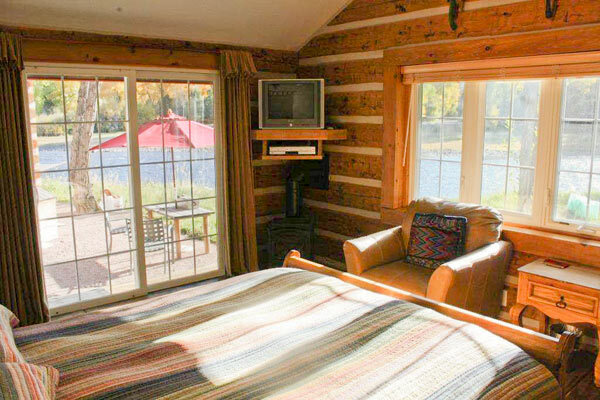 Each bedroom has its own flat screen TV with satellite and DVD/VCR and WIFI. We also have a DVD library of about 100 movies for those rainy days. 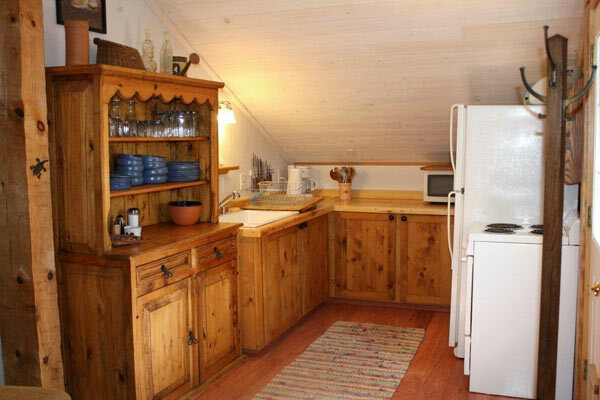 The Studio cabin is equipped with a washer and dryer and the only cabin we have with a kitchen. The kitchen might be considered more of an efficiency one with a smaller 4-top electric stove/oven, full-size refrigerator, and no dishwasher, but it is well appointed with all the accessories and utensils you might need. Outside you will find a beautiful sail-shade covered (summer) picnic area along the banks of the river. The picnic area is equipped for cooking on a gas grill or in the fire pit area on the custom-made plow disc wok. When you really want to relax, you can take a dip in the hot tub surrounded by beautiful flower gardens, and at night enjoy the endless stars. Multi-night stay may be required over any Holiday. Pets allowed in Studio only with owner approval, and one-time $20 pet fee per pet. Please note our Cancellation Policy: We do not give credits for early departures. The full rate will be charged per room if cancelled within 30 days of scheduled arrival, if we are able to rebook your cancellation we will make a refund based on what we were able to rebook. If multiple cabins are reserved, canceling 1 cabin may cancel all cabins.